Make the most of your summer with a season pass! You get unlimited on-site rentals at all our locations, discounts on off-site rentals and equipment purchases, and the opportunity to get out on the water seven days a week! 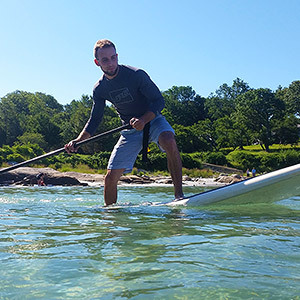 For those who want to paddle anywhere besides our rental locations, you can purchase an add-on to your pass for up to 15 days of off-site rental, offered from the Allston-Brighton location or our Waltham Paddling Shop. Our Season runs from the first weekend in May through Mid-October, weather permitting. 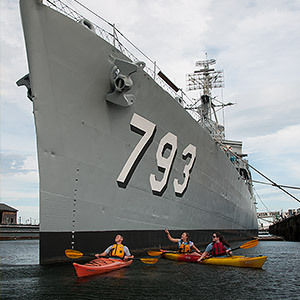 Includes unlimited 24/7 on-site use of our Maui Fiberglass Hurricane and Hawaiian Designs Nai’ solo outrigger canoes at our Kendall Square, Cambridge location. All other boat types (except ten-person canoes) to be used by the passholder can be rented on-site during regular hours at half price. Buy Online Now! 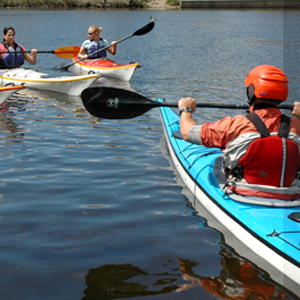 You’ll receive your pass in the mail in no time, but you can also start paddling with us right away. 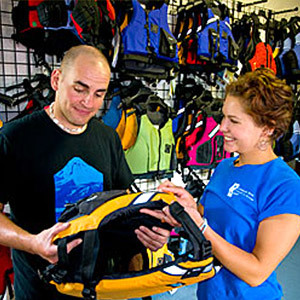 Season passes are valid for regular on-site rentals during our regular hours of operation during the boating season (the off-site rental add-on includes regular off-site rentals from the Waltham Paddling Shop or our Allston/Brighton location. Reservations are required). 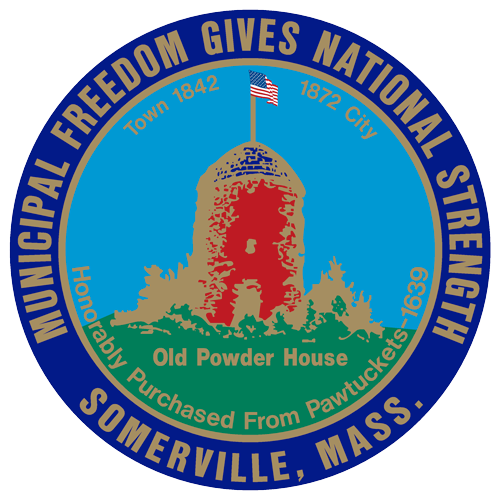 Season passes are not valid for Fourth of July Fireworks Rentals or any other special event or activity. Passholders pay nominal fees for One-Way Rentals ($10 per boat) and Nahanton Park Shuttled River Trips ($15 per person). 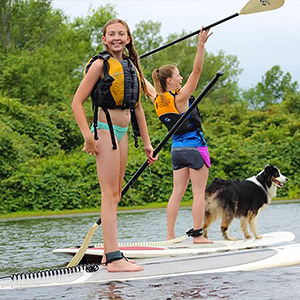 All passes include a 10% discount on off-site rentals, Paddling Store purchases (excluding boats and sale items), and Paddling School classes (use coupon code SEASONPASS; excludes private instruction and trips). Season Passholders receive the "own-boat" price on Kayak Trips. 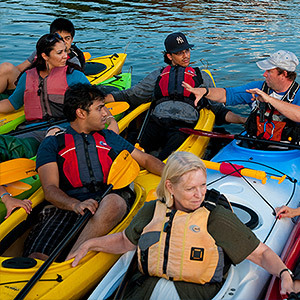 An "individual" member can bring guests in the boat they are renting at no charge as long as the boat rented can accommodate the number of guests (for example, an individual kayak member and a guest may rent one double kayak at no extra charge). All boats are included, Party SUP is available for half price rental. A "family" membership includes boats for an individual, his/her spouse, and their children up to age 25 living in the same household. All boats are included, limit on two tripper XL canoes, Party SUP is available for half price rental. Pass with off-site rental includes 15 days off-site rental for each passholder (not transferable within the family). A "senior" membership is for an individual age 62 and older and receives the same benefits as an individual member. A "student" membership is for an individual age 6-22 who is a student at a primary, secondary, vocational, or college-level school and receives the same benefits as an individual member. An "Accessibility" membership is for an individual with a disability and receives the same benefits as an individual member. Documentation is required. Guests who wish to rent a boat of their own receive a 20% discount on their rentals. Limit two additional boats per passholder per visit. Not all boats are available at all locations. See the boat types available at our Cambridge, Boston, Somerville, Newton/Nahanton Park, and Waltham locations. Outrigger canoe use is governed by additional policies described here. 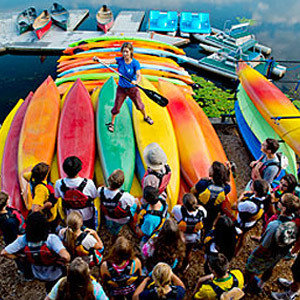 Off-site rentals are picked up from and returned to our Allston/Brighton location or the Waltham Paddling Shop, and are handled as described in our off-site rental policy.